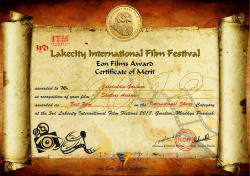 Azerbaijan film "Sholler's Archive" was named "Best Film" at Lake City International Film Festival in India. 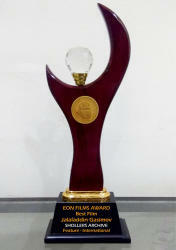 The film awarded the Cup of the festival. The author of the script, the director and general producer Jalaladdin Gasimov, said that it is not the only success of the film. "Sholler's Archive" reached the final of the 27th Chichester International Film Festival (UK). The film also went to the semi-final of Social Machinery Film Festival 2018 (Italy). The results will be announced in the near future, Trend Life reported. Notably, "Sholler's Archive" is dedicated to the 200th anniversary of the resettlement of German colonists to Azerbaijan. The film tells a story of the German colonist and his family, who moved to Azerbaijan. During World War II, 22,841 Germans were exiled to Kazakhstan and Siberia. One of the families were the Shollers. And Mrs Sholler gave her granddaughter, who was 6 months old, to an Azerbaijani family due to the harshness of the conditions of exile. Director Jalaladdin Gasimov obtained all the information about the Shollers from his father. Lakecity International Film Festival (LCIFF) held in Gwalior targets to present quality films from around the world as well as support, recognize and honor indie film makers. These films will be organized thematically, in hopes of representing the full range of the human experience as reflected by the selected filmmakers. LCIFF will also be a vital showcase for Indian short film makers as the festival has a PSA Films Category in addition to its competitive sections. The PSA films should be of 5 minutes duration revolving around a theme and have a strong social message.